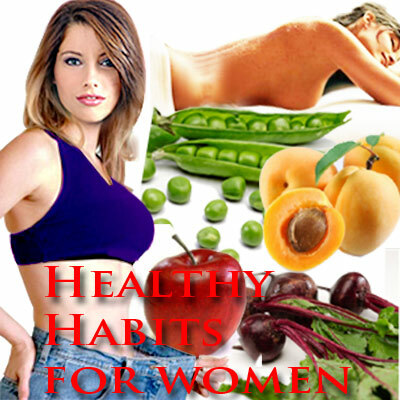 This is a simple yet effective ready-reckoner for women seeking a healthy life. Caught in the humdrum rhythm of our daily life, ever so often we forget that the rules for good health are not rocket science but so very basic. We listed them out for you - so that you can make them your healthy habits too! First and foremost, set a goal. Be it in life or at work, whether the goal is to gain muscle or reduce body weight, clearly set aside what you are looking for. Outline your goal realistically. There are many interesting applications available for your smart phones that help you stay focused on your goals by tracking progress. Start small, as major changes in diet and exercise can be overwhelming. A single small step at a time is achievable. It could just be walking for about 20 minutes a day, five days a week or even incorporating 3 servings of vegetables every day. Gradually as you go along, the track-and-move cycle will take you towards your goals. Do not underestimate the role of food in your life. Most often, women have a love-hate relationship with food. Eat right and never skip meals. Replace fatty foods for lower fat options; opt for leaner sources of protein, like chicken, fish, beans, or quinoa. Give your body the antioxidant advantage by bringing in a rainbow of colors into your plate - colorful vegetables and fruits are brimming with phytochemicals. Stock up on fiber, wholegrain, berries, mushrooms and crustaceous vegetables. A fit woman always almost keeps a water bottle handy. She drinks enough water to properly hydrate her body. Drink at least 8 to 10 glasses of water daily. Inadequate fluid intake can lead to a host of problems, from headache and heartburn to high pulse rate and kidney stones. Set yourself an hourly reminder if necessary. Too much stress produces cortisol, which brings a host of problems like weight gain, cardiac problems and often memory loss and lower attention span. Stress reduction is an important component to a healthy lifestyle. Breathing exercises, yoga, Pilates or meditation can go a long way in promoting wellness and relaxation. Indulge in a soothing massage to cleanse your body of toxins and help you feel rejuvenated. Take time off to soak in a warm tub - relax those tired muscles and the mind. Put Aromatherapy products to good advantage, enjoying the benefits of the essential oils to the mind. It is essential to let the mind and body shut down and restart once in a way. Ever so often, women tend to make everything other than themselves a priority. Explore avenues that interest you but have never ventured into, dance, painting or even yoga or kick boxing. Build a little container garden that you can tend to … and enjoy watching them blossom under your care. Take time to watch the rain from your window. Take a brisk walk around the park or even a leisurely jog. An associate professor at the Yale School of Public Health opines that 'you need to eat the minute your feet hit the floor in the morning'. Studies prove that breakfast eaters are less prone to obesity and other health problems and are more likely to engage in other healthy behaviors such as exercising and getting adequate sleep. Skipping breakfast as a weight loss strategy tends to backfire as it causes you to overeat later in the day. Exercise your brain too. Go in for simple cognitive exercises 'neurobics' to stimulate the brain into new connections. It works wonders to keep aging at bay! Try to use your non-dominant hand for activities, wear your watch on the other wrist or even get dressed in the dark. Learn a new language or sign up for an art or hands-on class. Reading is an excellent activity to keep the brain active and protect it against cognitive decline. When you are asleep, your body repairs itself and recovers from stress and regulates the hormones that affect appetite. Without adequate sleep, your metabolism, memory and mood are affected. Sleep deprivation can also lower your immune levels. So ensure that you wind up at a decent hour and catch enough sleep. If you have trouble sleeping, make your ambience more conducive to relaxation and winding down. Doing a monthly breast self exam is highly recommended. You need to be on the lookout for any lumps, redness, rash or swelling. Be aware of any abnormal discharge, change in size or symmetry in the breasts. At different stages of a woman's life, her nutritional needs vary. Even if you are eating right, it is possible to miss out on some vital elements so essential to maintain good health. Check with your doctor about supplements, be it Omega-3, calcium, iron and folic acid or B-complex vitamins. Exercise works wonders not just on the body but also on the mind. It helps release mood-booster chemicals like endorphins that ease anxiety and aid mental wellbeing. Even if you have other commitments, make exercise a priority. Many women stop exercising in their late teens and early twenties. Keep your muscles and joints agile and flexible. Regular exercise also assures greater balance and mobility. Look for an exercise regimen that suits you, be it indoor gyms or power walking or yoga. Your social groups and friends are a valuable element in your life. Do not discount the power of bonding. Your relationships go a long way in enhancing your mental and emotional health. Take the time to chat with a friend over coffee. Spend a day outdoors with the kids. Catch a movie with a loved one. These social interactions keep us recharged and help us cope with the myriad problems that life keeps throwing up. Last but not the least; learn to laugh. Beat the blues by finding humor and fun in all you do. Laughter helps beat stress and conflict. It has tremendous power to heal and enhance your physical and mental wellbeing. Build up endorphins to protect your heart and even relieve pain. First Published Date: 18 Sep 2012 Last modified Date: April 23 2019 This page may have been updated recently as new information is available or the content may have been edited for better readability.